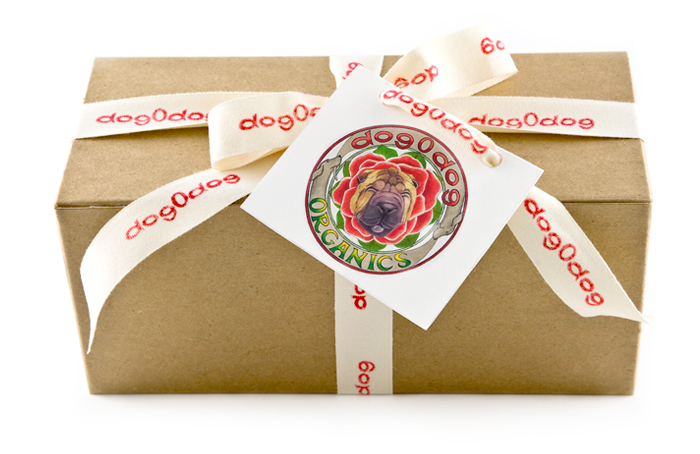 Customize your dogOdog Gift Set with 100% Organic Snack-Treat-Enjoy Biscuits in the 6 oz. – 30 count Treat box and select a size of the 100% Organic Cotton Play-Tug-Chew-Toy! Please refer to the Play-Tug-Chew-Toy page for more information in choosing the best size for that special pupOpup or dogOdog! 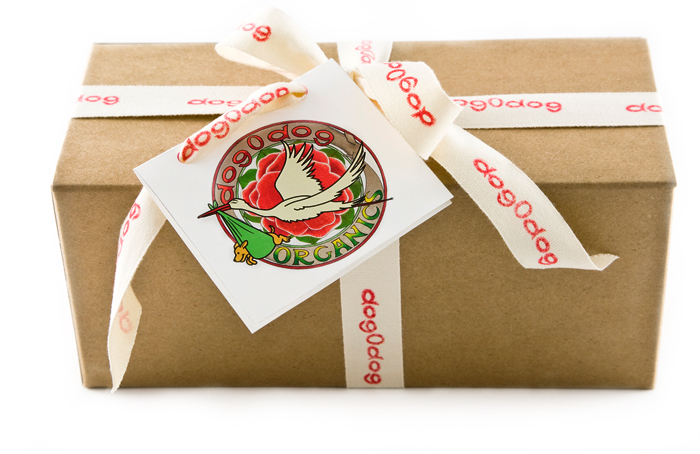 Then select a Gift card with our dogOdog logo or the Stork & Puppy logo for either a pup or new arrival. Our hand-stamped ribbon is 100% Organic Cotton – made in . Please don’t hesitate to contact us to help you with selecting the perfect size gift set for that special dogOdog. We will be happy to ship your dogOdog Gift Box directly for you.